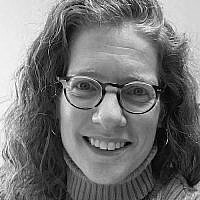 The Scroll of Esther is different from other the other books in the Hebrew Bible. Not only is God not mentioned at all in its pages, but Halacha (Jewish religious law) allows the Scroll of Esther to be illustrated without rendering it unkosher. Thanks to this, there are dozens of illustrated scrolls of the Book of Esther. 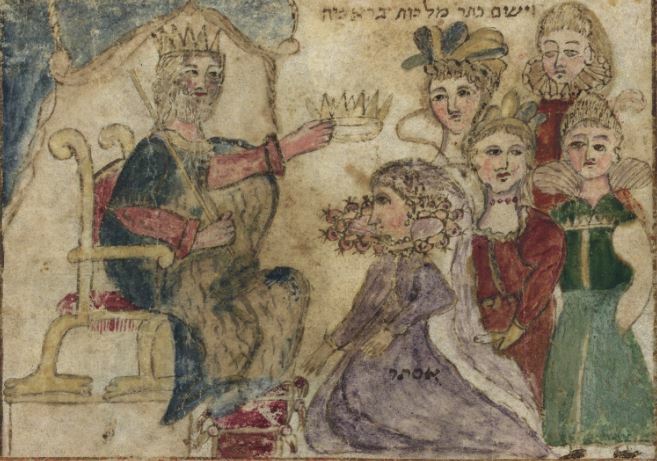 Among the treasures within the collections of the National Library of Israel, there is a unique Scroll of Esther, which is over 400-years-old. What is particularly interesting about the scroll, inscribed in 1617, are the illustrations that adorn it. 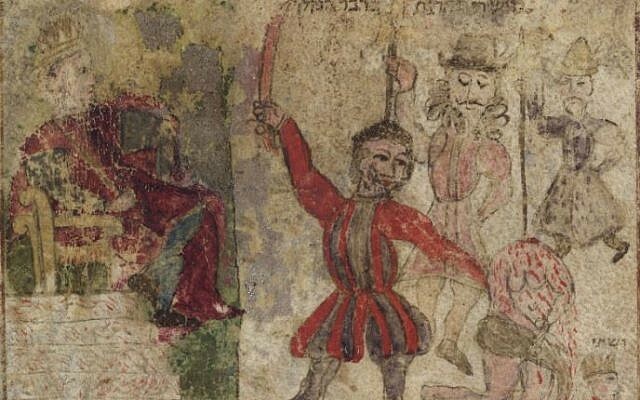 They seem almost cartoonish, and the scribe and illustrator, Moshe Ben Avraham Pascarol, was not afraid to look directly at the atrocities described in the scroll, and accentuate them in order to achieve a dramatic effect. 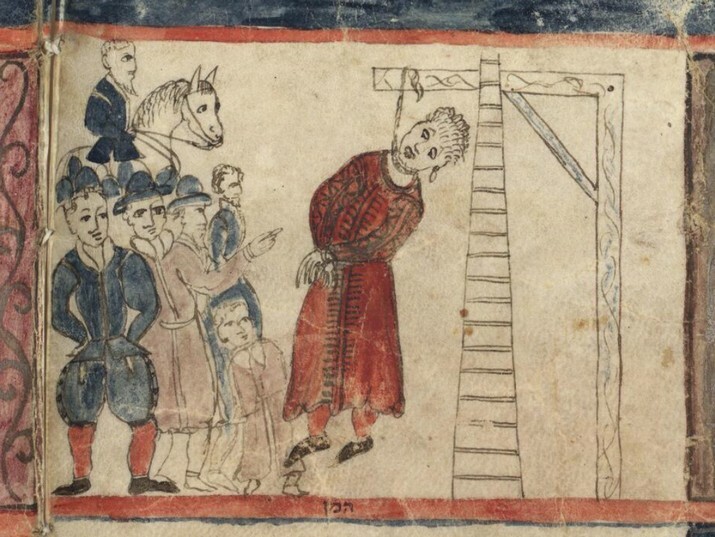 Many of the violent scenes, such as the decapitation of Vashti as well as the hanging of Haman and his sons, are graphically illustrated on the pages. The promotion of modesty are also apparent. 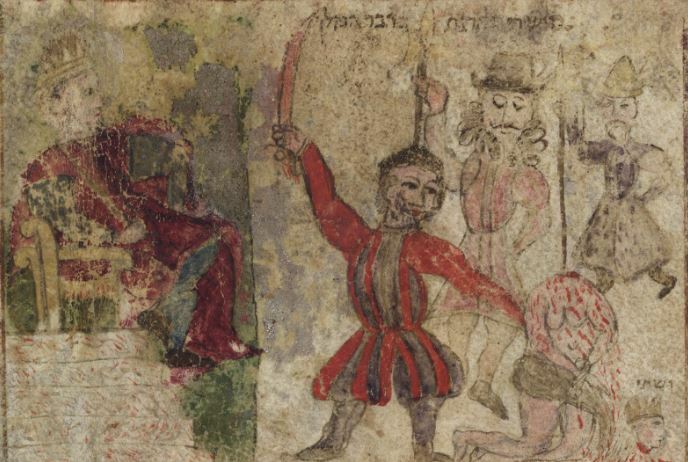 While the violence and colorful gore are celebrated, the sexual aspect of the Scroll of Esther is completely downplayed. Each illustration ascribed to a verse in the Scroll of Esther illuminates it in a certain light. 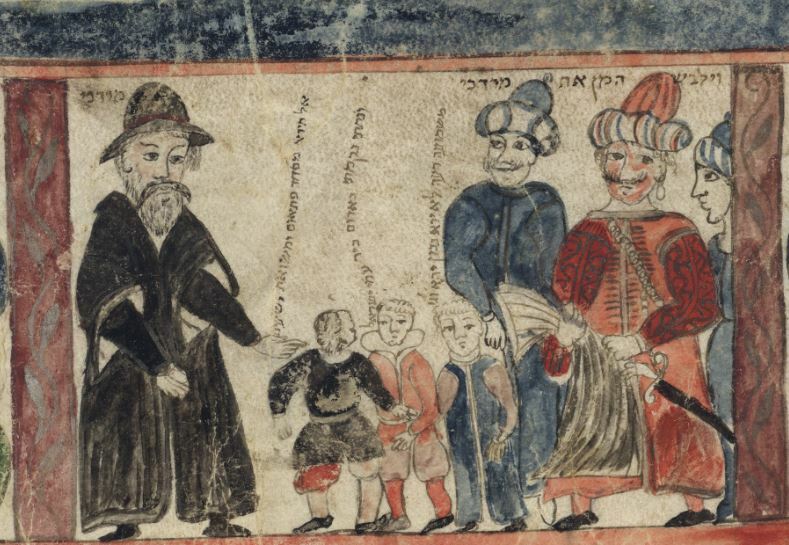 But one illustration is known to be inspired from other sources beyond the Scroll of Esther; in the illustration, there are three children asked to interpret what is happening, and there are three additional verses, taken from all other books in the Bible. The third verse is the most telling — “I will wreak My vengeance on Edom through My people Israel” (Ezekiel 25:14). This statement reveals a deliberate message from the illustrator. Traditionally, the nation of Edom is linked not with Persia (the kingdom mentioned in the Book of Esther), but with the Roman Empire, and all of Christendom. 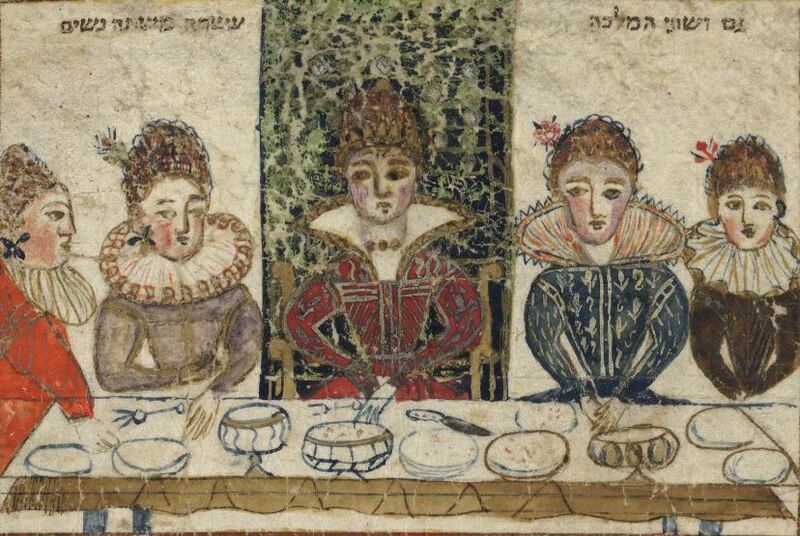 Since the scroll is Italian and influenced with paintings of figures from the Italian Renaissance, the hidden message of the scribe and illustrator was very likely there for the Jews of Italy to interpret. 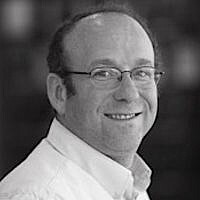 Dr. Yoel Finkelman is the curator of the Haim and Hanna Salomon Judaica Collection at the National Library of Israel.